From the Greek pro (before) and legomen (we speak), prolegomena refers to preliminary or introductory words on a course of study. 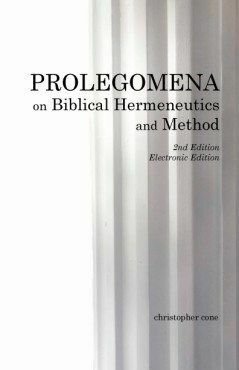 Prolegomena on Biblical Hermeneutics and Method, 2nd Edition, explores four important pillars that support a Biblical theology, and provides guidance on how we can study and understand the Bible for ourselves, along with background on how others have understood the Bible throughout history. Prolegomena is the study of presuppositions, definitions, and theological methods which are foundational to any doctrinal system. 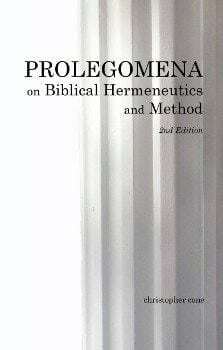 This volume concerning prolegomena is decidedly dispensational in approach and thus lays the groundwork necessary for understanding Scripture dispensationally. . . . offers an excellent theological study which is basic to systemic theology. This is the electronic edition of Prolegomena.